This post was sponsored by Supreme Source as part of an Ambassador Program for Influence Central and all opinions expressed in my post are my own. 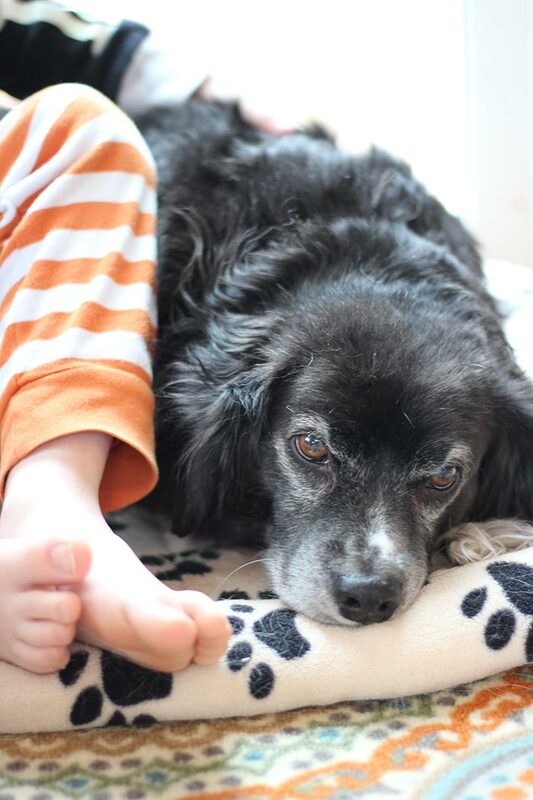 Help your dog feel better inside and out with a 10 day dog detox challenge. There is one member of our family who looks forward to spring even more than I do: our dog Grady. Unlike his big brother, who is part shepherd and loves nothing more than a romp in the snow, Grady is not a fan of cold weather. Grady's routine definitely changes during the winter. As he's gotten older, he's developed some joint pain, so he's only interested in heading outside for "business" trips. He's not nearly as excited to go on walks or to play outside with the kids. He'd rather snooze by the fireplace or snuggle on the couch. As winter drags on, his less active lifestyle is starting to catch up to him. His energy is low and I can tell he's getting a little depressed. I want to help him feel better inside and out, so that once the weather is warmer he will want to join us for walks and a game of fetch. That's why we're starting a 10 day dog detox with a new diet and healthy habits. Grady just had his 6-month checkup at the vet, so I know that his overall health is good. But he definitely needs to get back into his healthy habits so he can feel his best, physically and mentally. Just like it does for us, our dog's diet makes all the difference in how they feel. I know how much more energy I have when I'm eating healthy, balanced meals. 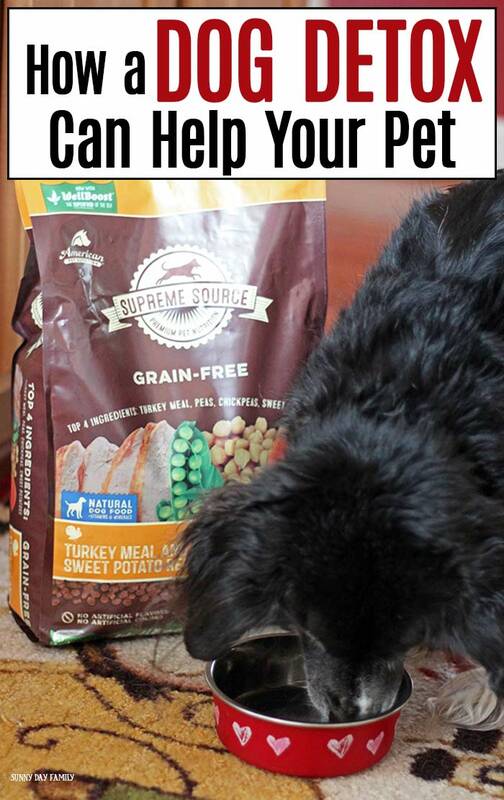 It's the same for Grady (and all our pets), which is why I'm committed to making sure that he's getting the best nutrition he can. That's where the Supreme Source® 10-Day Detox comes in. 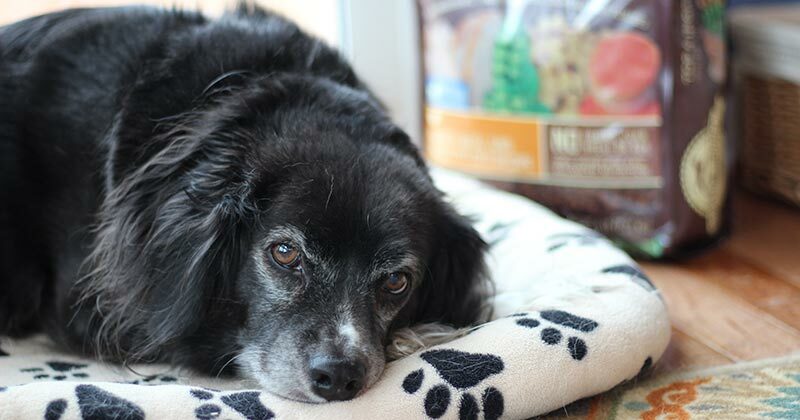 We're committing to doing a dog detox by switching Grady's diet to Supreme Source Grain Free Turkey Meal & Sweet Potato Dry Dog Food for 10 days to help him get past the winter blues and ready to enjoy spring! 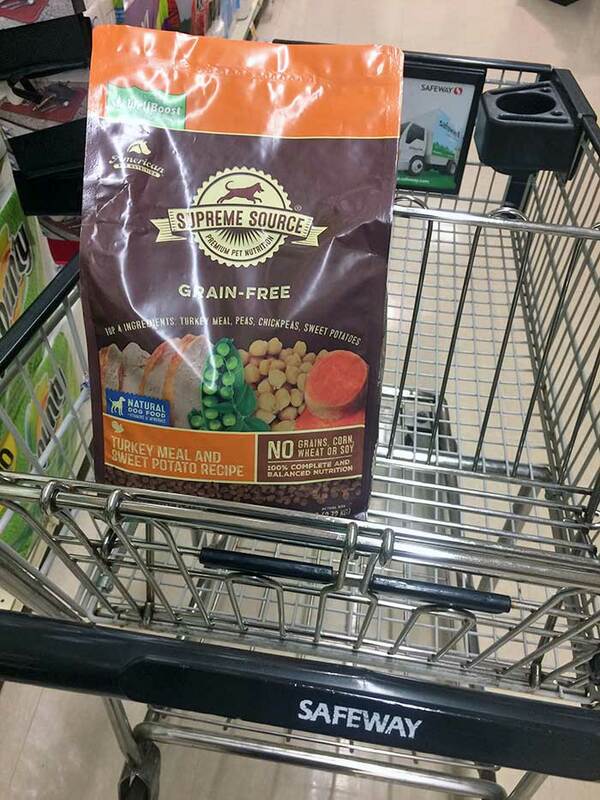 To start our 10-day dog detox challenge, I headed to Safeway to pick up a bag of Supreme Source. 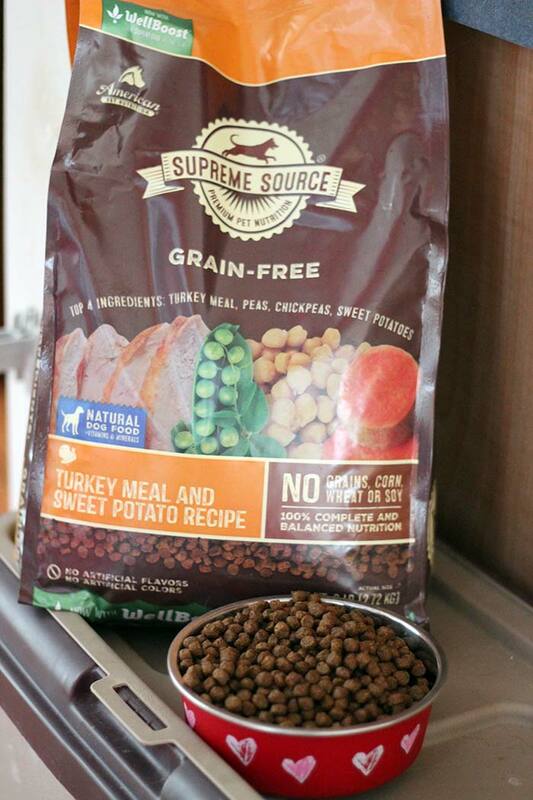 Supreme Source is a grain-free food with loads of healthy enzymes and probiotics to help Grady feel good inside and out. And of course, there are no artificial flavors or colors. Just healthy ingredients like fruits and veggies for natural sources of vitamins your pet needs. Supreme Source even includes Wellboost™, organic seaweed that helps promote digestion. How great is that? In addition to our dog detox, we're committing to getting back into healthy habits with a few changes in our routine. As the weather is slowing starting to warm up I'm putting regular, daily walks on my calendar. My boys are encouraging Grady to play ball with them every morning (even if it is still inside the house) and giving him lots of attention too. I'm scheduling Grady's spring haircut (wait until you see how good he looks!) and doing a little spring-cleaning too. I would LOVE for you and your dog to join us on this 10 day dog detox! I'm excited to get started and I'll be sharing our results soon. If your dog is ready for a detox too, click here to join the superfood challenge. You'll get a coupon for a free bag of Supreme Source food (*Up to $9.99 value. While supplies last). You'll also receive daily emails from Supreme Source with fun activities to help you through the challenge. Then head to Safeway (or find a store near you here), grab your free bag, and get started! Are you joining the 10 day dog detox with us? Share your progress on Facebook or tag me on Instagram!